SAN FRANCISCO (Aug. 30, 2017) — City Attorney Dennis Herrera today filed a motion for summary judgment, asking a federal court to find President Donald Trump’s executive order on “sanctuary jurisdictions” unconstitutional and definitively end the threat it poses to federal funds that flow to states and local governments. Herrera is also asking the court to rule that San Francisco’s laws fully comply with federal immigration law. In a key victory for some of our nation’s most vulnerable residents, a federal judge on April 25, 2017 granted Herrera’s request for a nationwide halt to enforcement of the executive order as the case progressed through court. The judge in U.S. District Court for the Northern District of California found that the executive order had “apparent constitutional flaws” and San Francisco was likely to succeed in the overall case. Today’s filing asks for a permanent ruling in the case. Trump issued Executive Order 13768 on his fifth day in office after campaigning to “cancel all federal funding to sanctuary cities.” The order directs federal officials to withhold federal funds from “sanctuary jurisdictions” and defines those jurisdictions as ones that don’t comply with 8 U.S.C. § 1373. 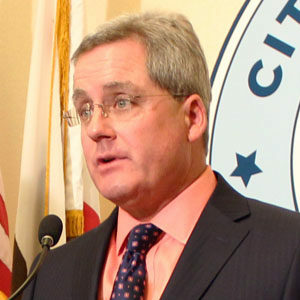 San Francisco has about $2 billion at stake, including $1.2 billion in annual operating funds, or about 13 percent of San Francisco’s budget; and another $800 million in multi-year federal grants that are not part of the annual operating budget and used primarily for large infrastructure projects, like bridges, roads and public transportation. San Francisco uses federal funds to pay for core services like medical care and social services for its most vulnerable residents, public safety programs and other programs. Federal funding accounts for 100 percent of the city’s Medicare funding, almost 40 percent of the budget for the city’s Department of Public Health and about 33 percent of the budget for San Francisco’s Human Services Agency, for example. The motion filed today notes that Trump’s executive order violates the Constitution in multiple ways, including fundamental separation of powers principles. The Constitution grants Congress — not the president — the federal spending power, including the power to impose conditions on receiving federal funds. The executive order is also unconstitutional because it purports to exercise the spending power in ways that even Congress could not by, among other things, imposing conditions that were not clearly stated in advance and do not relate to Congress’ purpose in spending the funds. The executive order also violates the Tenth Amendment, which embodies the basic principle that the federal government cannot compel state or local governments to enact or administer a federal regulatory program. Despite what Trump administration officials say, San Francisco is in full compliance with federal law. The lawsuit in question is the first of two that Herrera has brought against the Trump administration over federal funding for sanctuary cities. The second lawsuit, filed Aug. 11, 2017, seeks to invalidate grant conditions that U.S. Attorney General Jefferson B. Sessions III separately sought to place on a group of U.S. Department of Justice grants for local law enforcement. Those conditions came after the court enjoined enforcement of the executive order. San Francisco’s case challenging the executive order is about limits on what President Trump can do. San Francisco’s case challenging the grant conditions is about limits on what the attorney general can do.